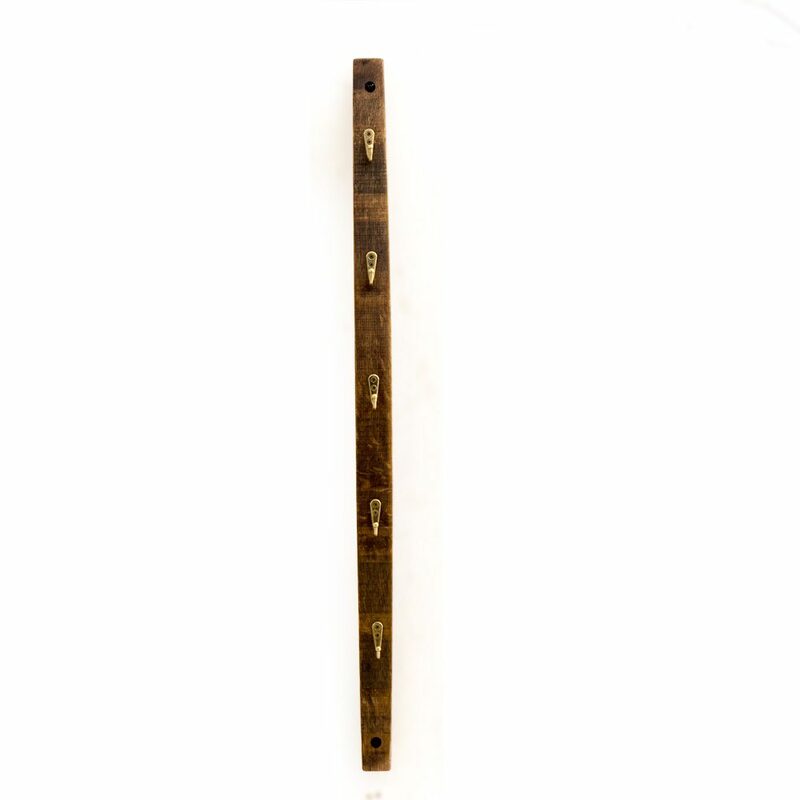 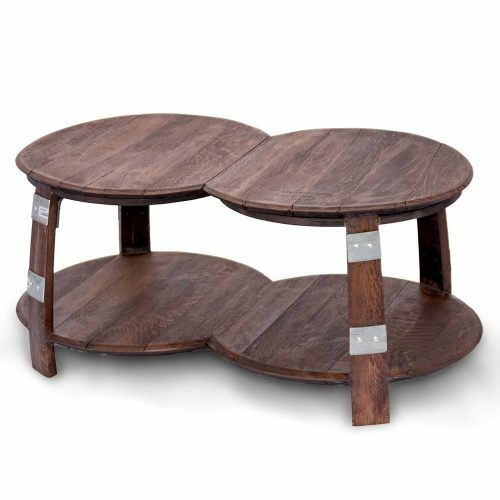 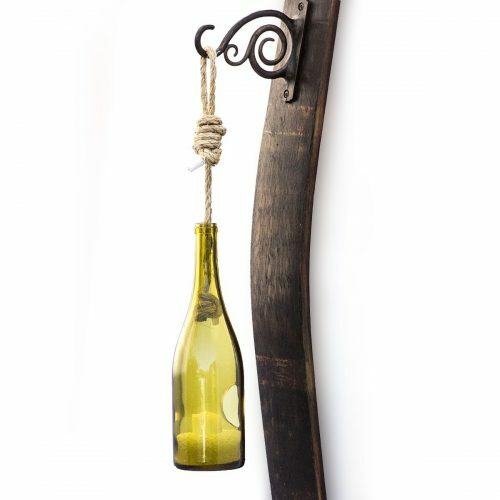 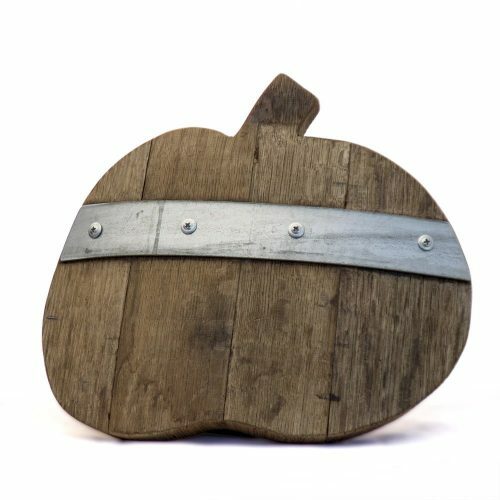 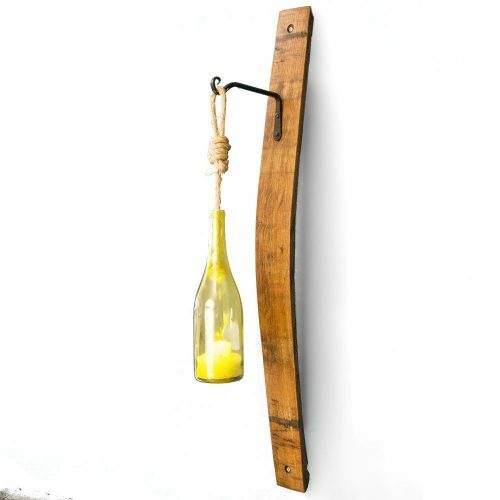 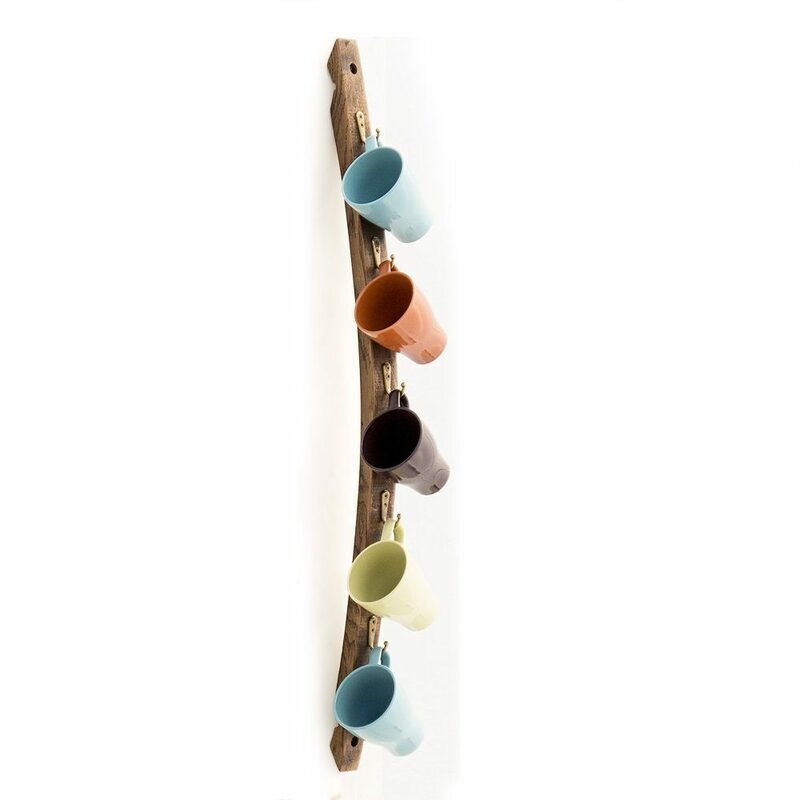 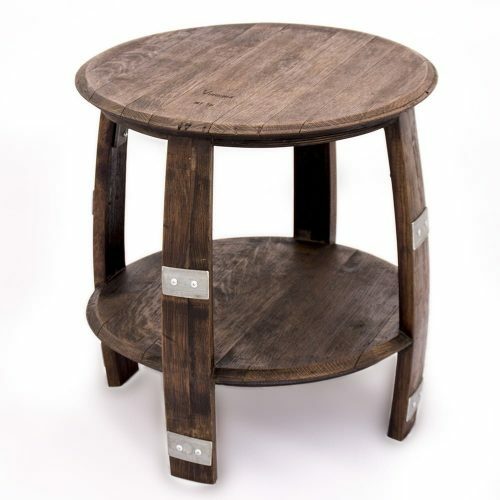 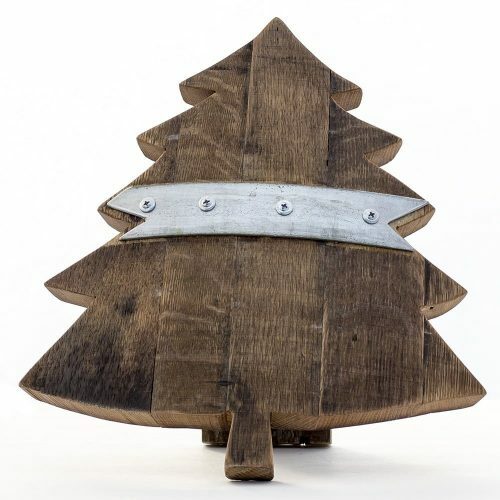 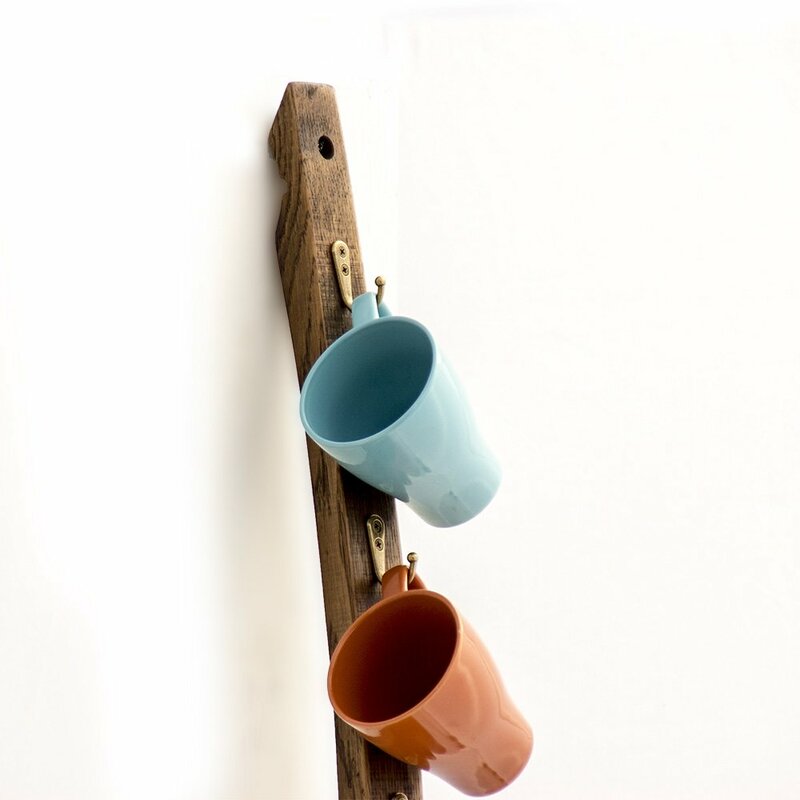 Add a feeling of warmth and comfort to your kitchen, breakfast nook, or drink station with this hand-crafted Reclaimed Wine Barrel Stave Coffee Mug Rack with Metal Hooks made from wonderfully-aged oak wine barrel staves. 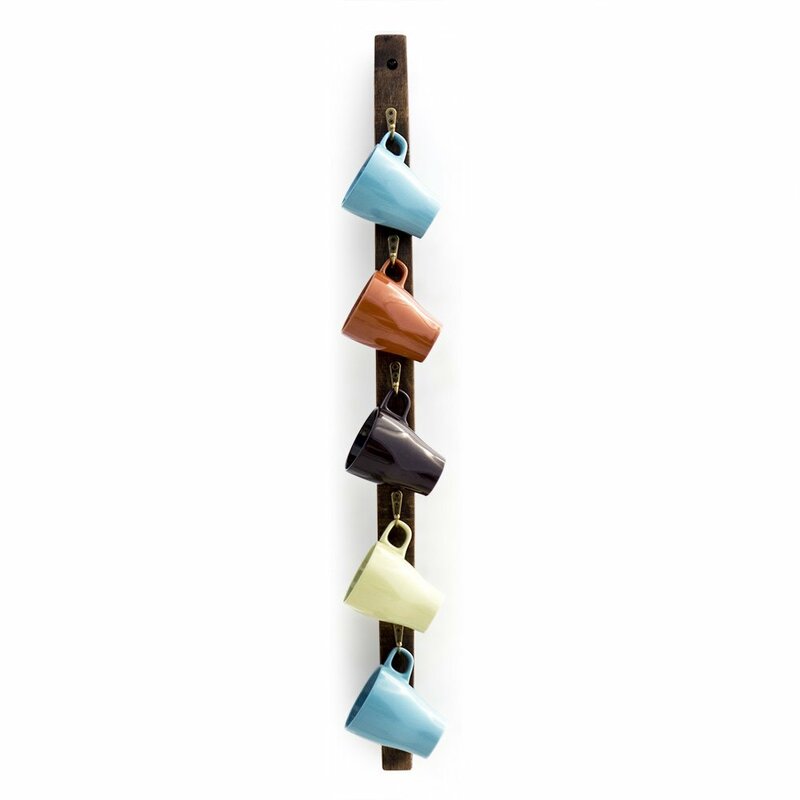 The solid construction holds up to 5 heavy coffee mugs or cups using bronze brushed metal hooks. 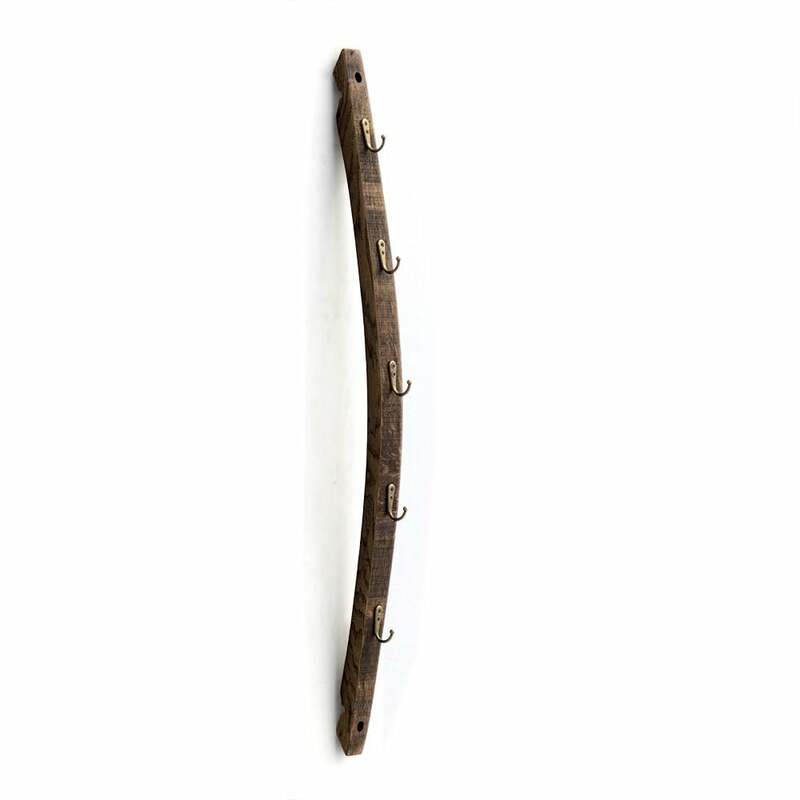 Price is for 1 rack. 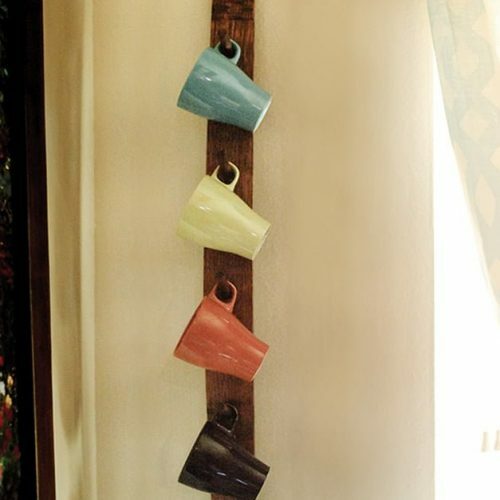 Mugs and cups not included. Dimensions: 34-37″H x 3-4″W x 4″D Actual size depending on barrel stock on hand at the time of purchase. 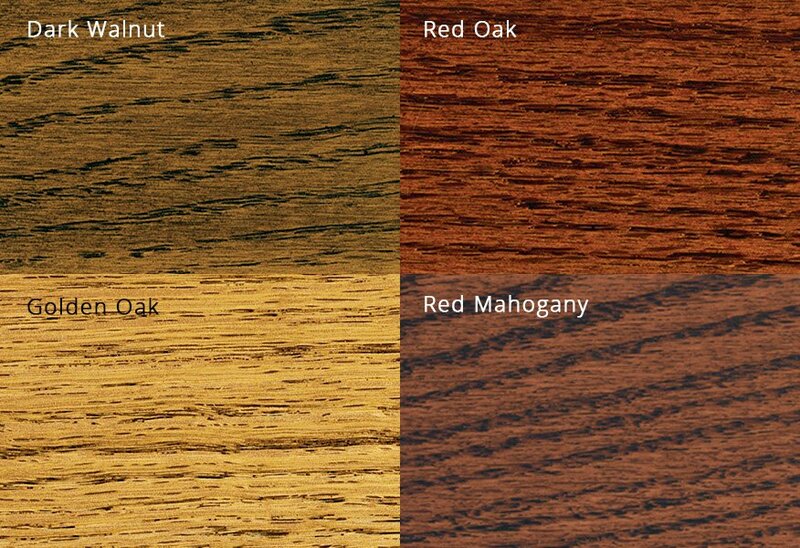 Dark Walnut (featured in product images), Red Oak, Red Mahogany, Golden Oak, Dark Walnut Banded.